Made of premium 100% organic cotton, these t-shirts are soft and gentle on your little one's skin. 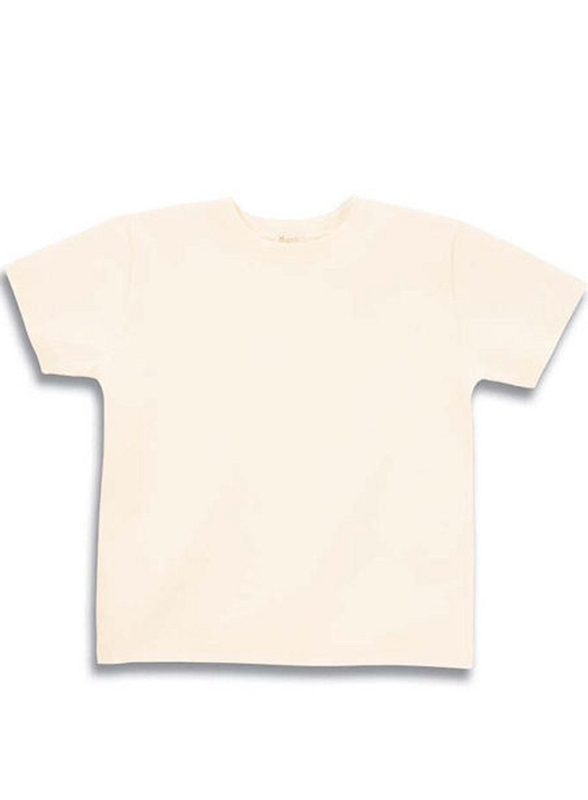 These blank t-shirts are great for crafting, decorating, personalizing or wearing as plain t-shirts. Available in 5 soft colors, dyed with environmentally friendly dyes. Super soft 5.5 oz. 100% certified organic combed ringspun cotton jersey. Coverstitch ribbed crew neck. Taped shoulder-to-shoulder. Double-needle hem sleeves and bottom. Natural and white are sewn with 100% cotton thread. Colors are dyed with environmentally friendly dyes. Q: How much are they and when will they be back in stock? A: At the moment, we do not know if these items will be back in stock.